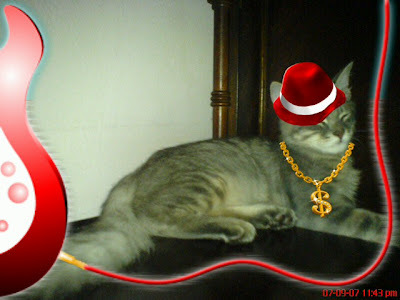 Check out the bling bling cat! one day there was a blink from a bling bling cat. The cat had a red white hat. can make you blind but not so blind. do you no what bits of bobs mean? I don't but that bling bling cat might!